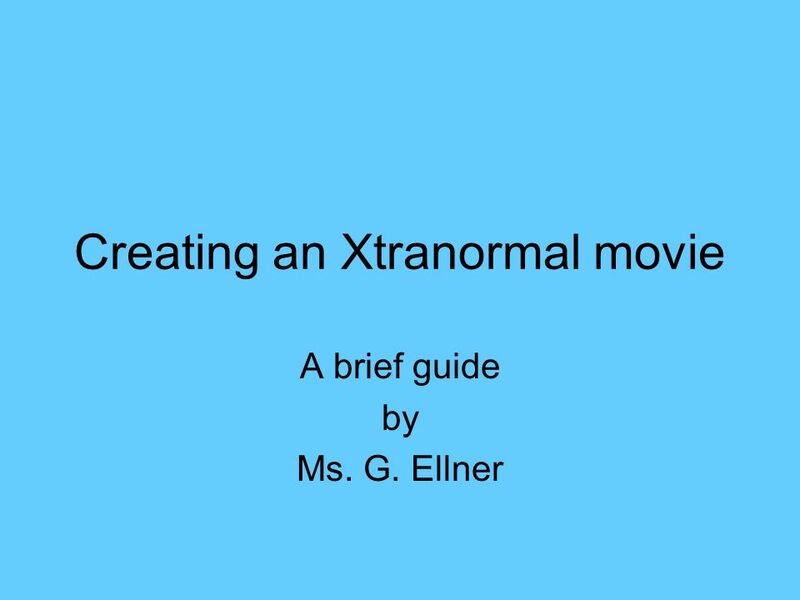 Creating an Xtranormal movie A brief guide by Ms. G. Ellner. 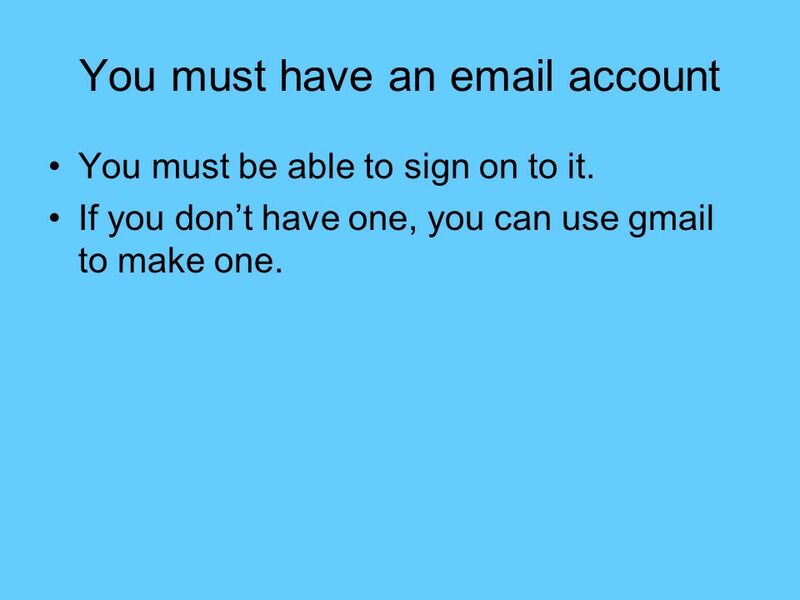 2 You must have an email account You must be able to sign on to it. If you dont have one, you can use gmail to make one. 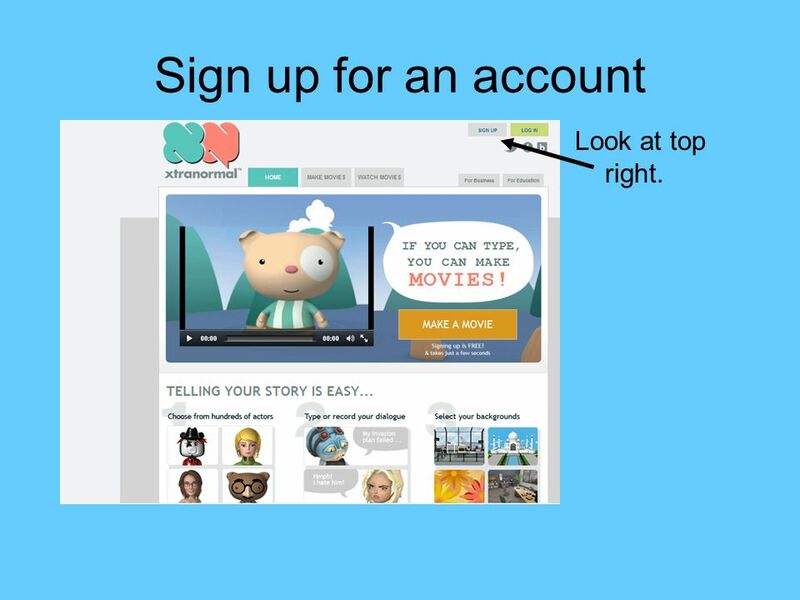 4 Sign up for an account Look at top right. 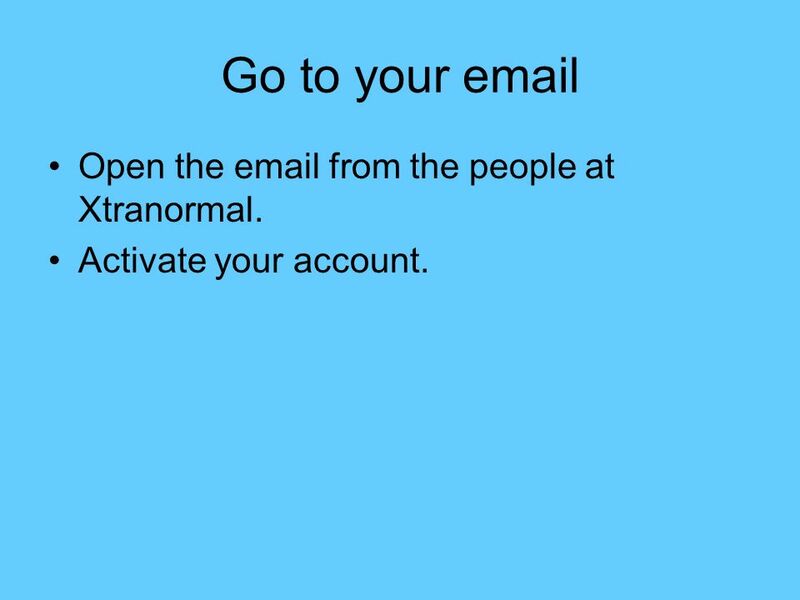 5 Go to your email Open the email from the people at Xtranormal. 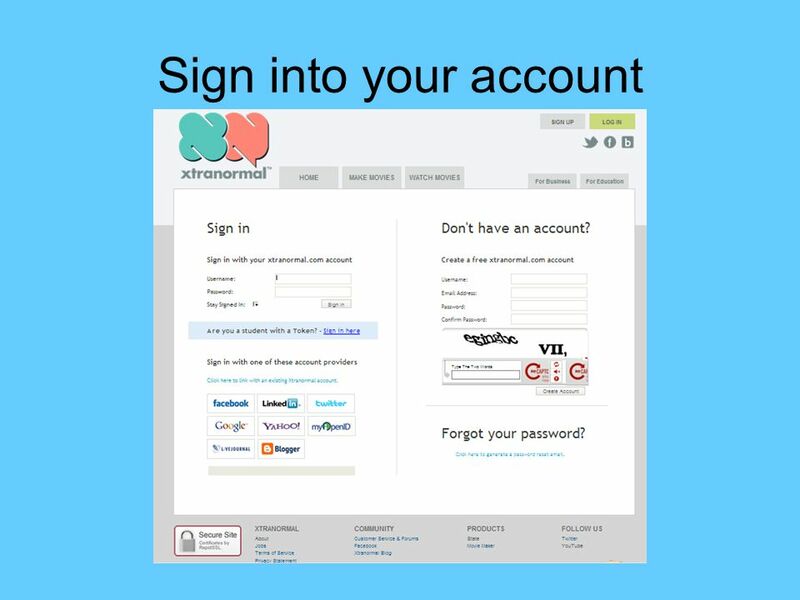 Activate your account. 7 Select Make Movies Collections often change. 9 Follow the directions Your points are at top on the left. 10 Continue if you have enough points. 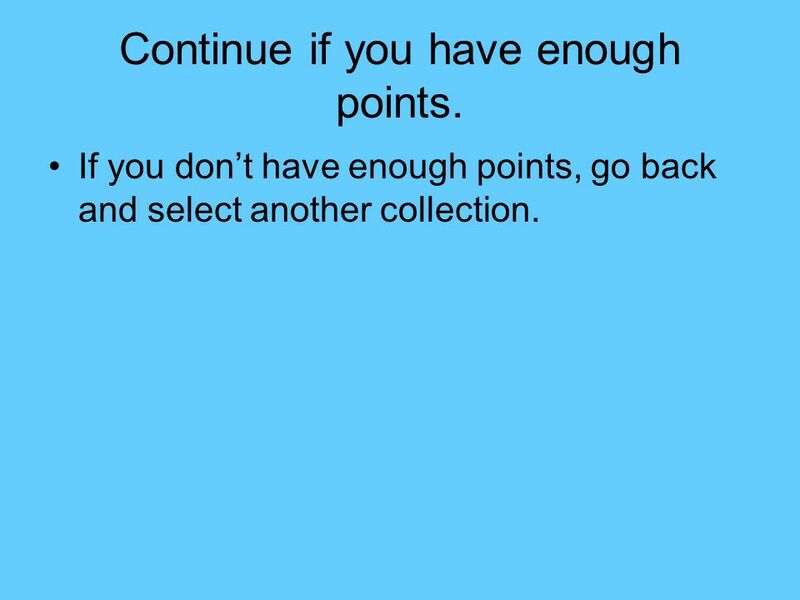 If you dont have enough points, go back and select another collection. 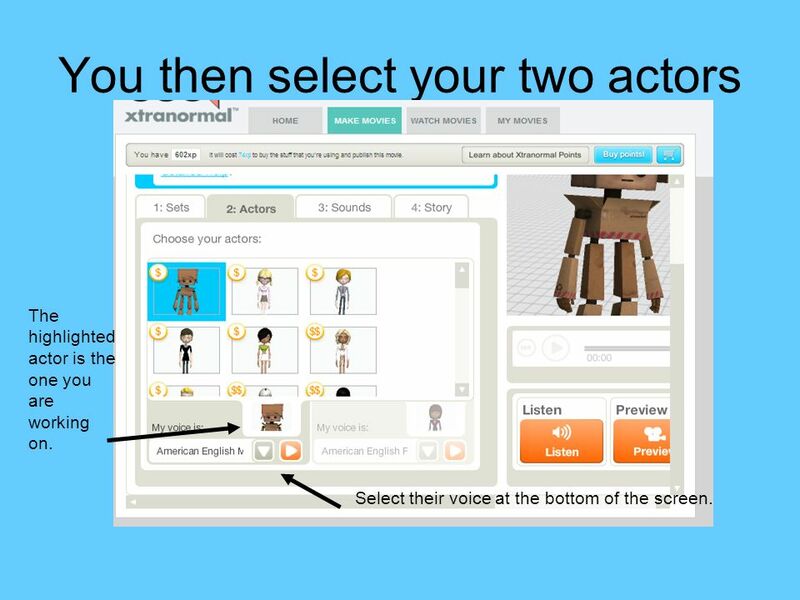 11 You then select your two actors The highlighted actor is the one you are working on. Select their voice at the bottom of the screen. 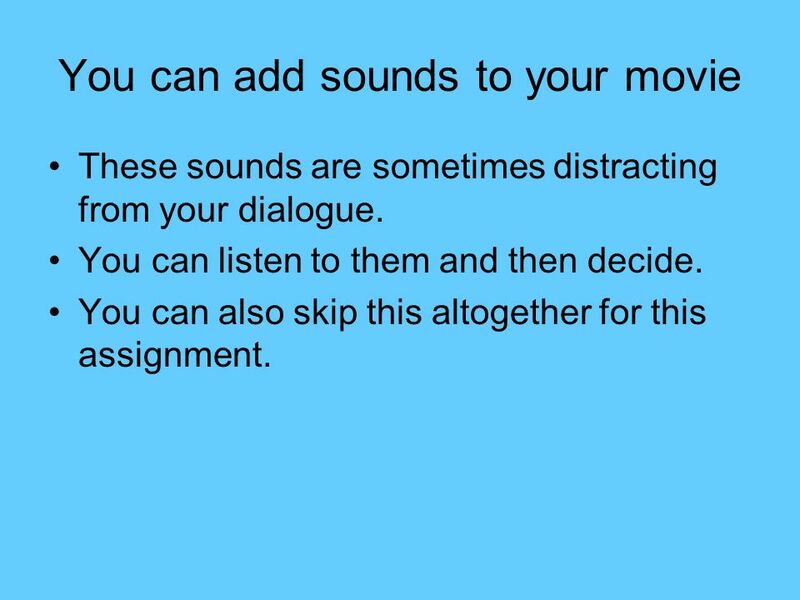 12 You can add sounds to your movie These sounds are sometimes distracting from your dialogue. You can listen to them and then decide. You can also skip this altogether for this assignment. 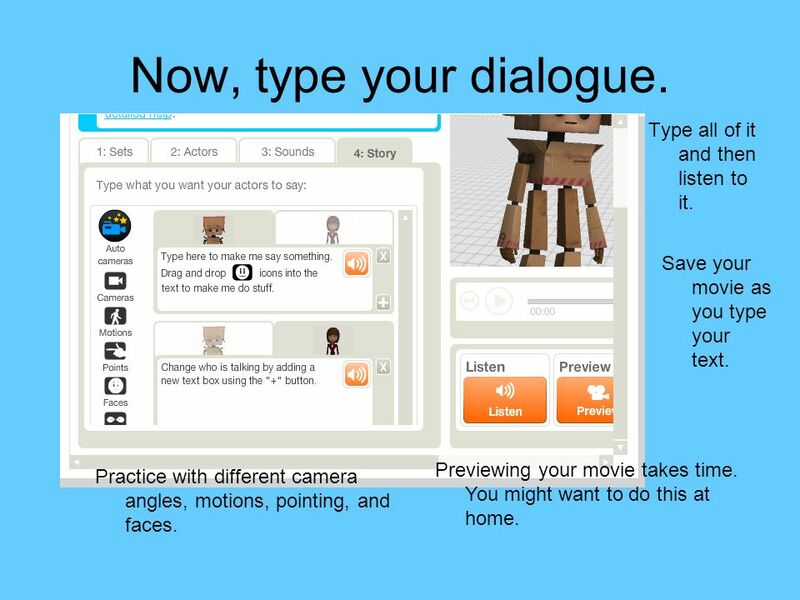 13 Now, type your dialogue. Type all of it and then listen to it. Practice with different camera angles, motions, pointing, and faces. 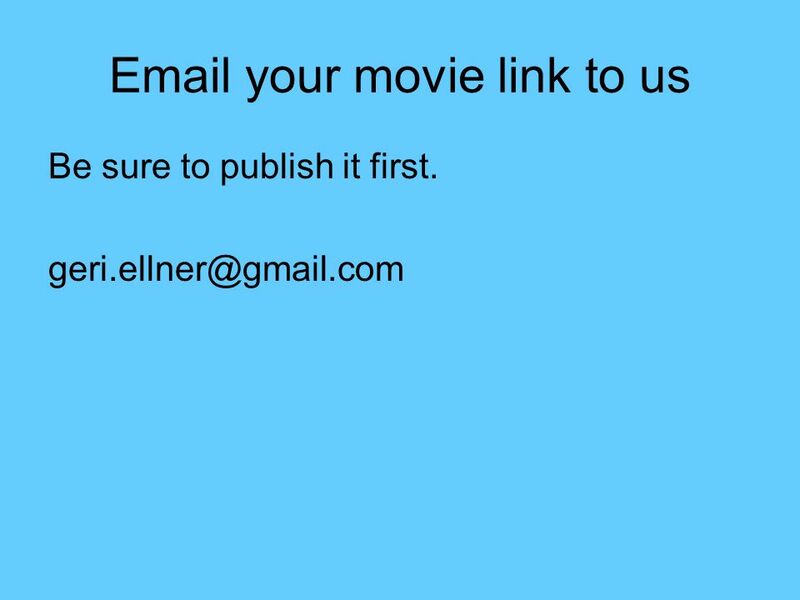 Save your movie as you type your text. Previewing your movie takes time. You might want to do this at home. 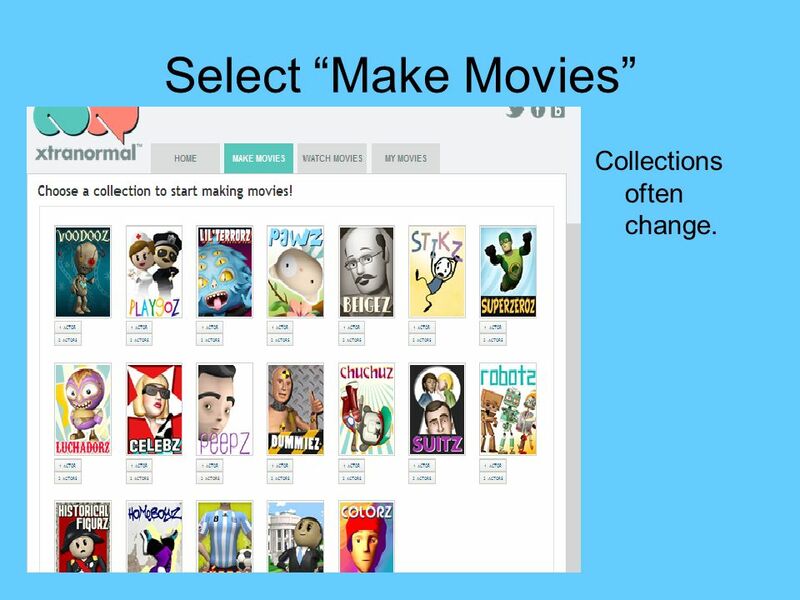 Download ppt "Creating an Xtranormal movie A brief guide by Ms. G. Ellner." Ovid Training Dept 2012 Setting up eTOC Subscriptions. HOW TO USE POWERPOINT By Bryan Kreps. 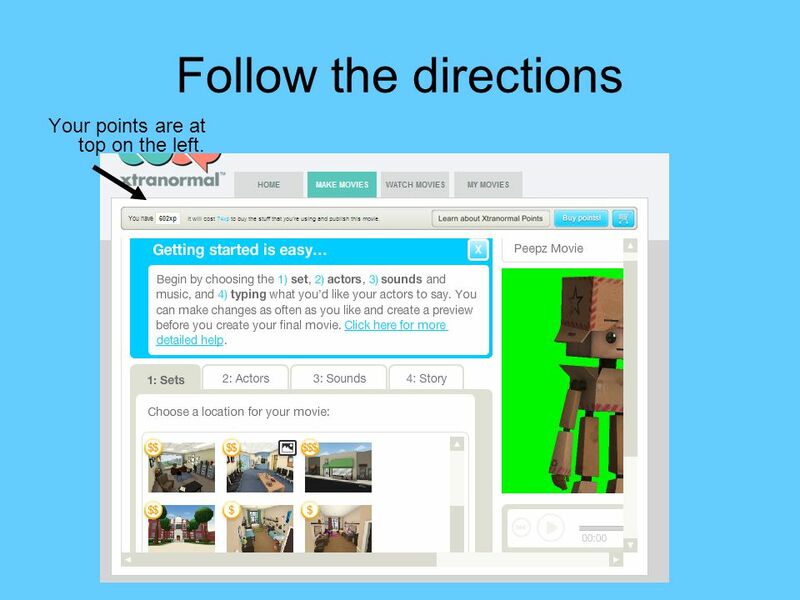 Adding Hyperlinks to PowerPoint By Samantha Clayton. Advice from some professors on how students should NOT put together a PowerPoint ™ presentation for use in classwork at King’s College. By CELT and the. How to create a common assessment using Limelight Revised Saint Joseph School District. Weebly.com E- Portfolio Instructional Guide Step 1 Using Internet Explorer, go to (Weebly, 2013) Created by Dr. K. Hodges 2. Tutorial EBSCOadmin Branding support.ebsco.com. To help you enhance the search experience for your users, EBSCO offers a number of custom branding options. Here is a list of citations the database retrieved for us. To find out more about an article, click on the “complete reference” link. How to use the “WBMS Detention” Google Doc Google Docs are great because multiple people can access modify them at the same time – unlike the J: drive. Creating First Class Web Pages Log into your account. Designing a Classroom Website Portland Public Schools 7-12 Technology Symposium Wednesday, March 25, 2015. Creating a Website in Weebly Created by: Joey Weaver Modified by: Mrs. Wilson. Step by Step Tutorial!.  Log onto  Click on the SignUp button at the top. Starter for 10 Unit 10: Flickr & YouTube Transform IT SFT10_Flickr_YouTube. Website Evaluations Jennelle Kesteloot (Richie) Madonna University RDG 5410. TECHNOLOGY TOOLS BY ALEXA BELTZ & MICKAELA PEREZ. Movie Maker in the High School Classroom Professional Development Workshop September 1, 2009 Facilitator: Heidi Camp Swartz Creek High School. GOOGLE E-MAIL LEARNING TO USE YOUR G-MAIL ACCOUNT.